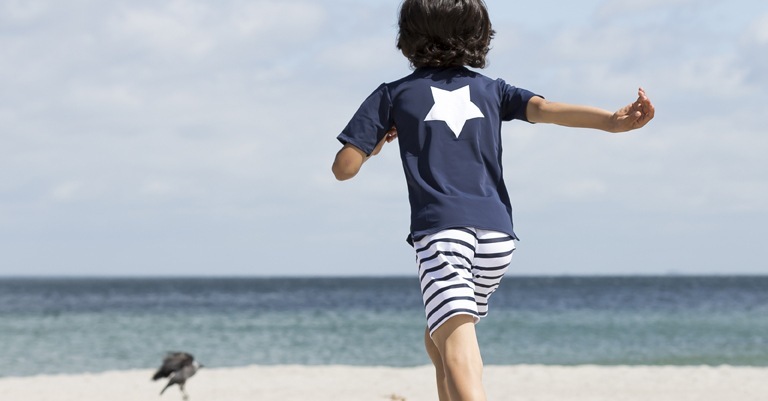 Petit Crabe has set itself the task to create stylish and comfortable swimwear that both young and older children want to wear and that protects them from the sun’s harmful UV rays. Is there something better than spending a beautiful summer day with the children at the beach, catching crabs? 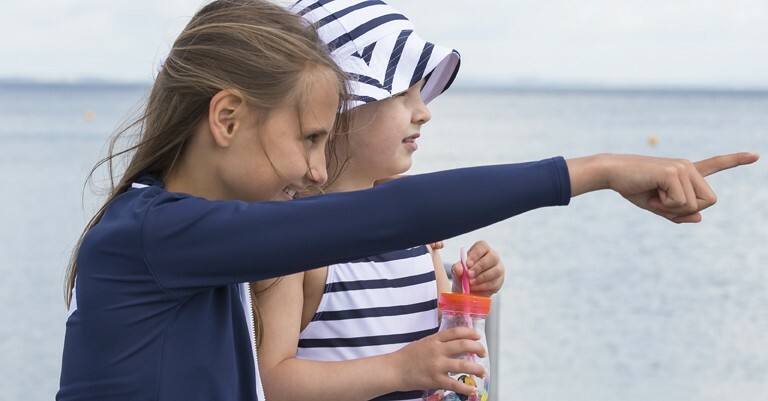 The little ones’ excitement when they managed to catch one in their net and their unbridled joy when they set it free again and watch it while it walks back into the sea. 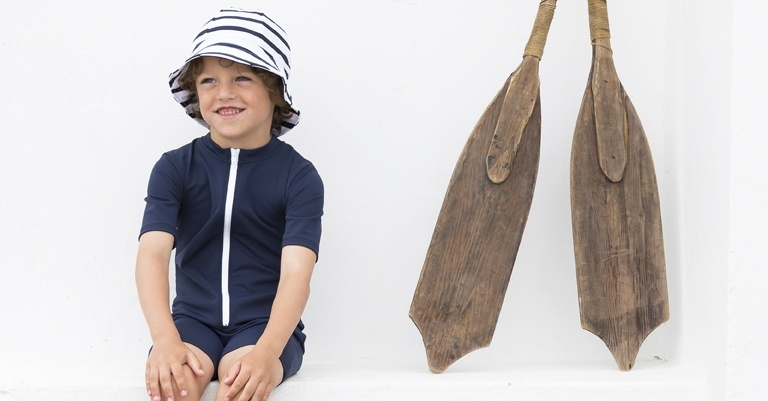 Swimwear from Petit Crabe has sun protection factor of 50+, which lets only 2% of the sun’s harmful rays through. 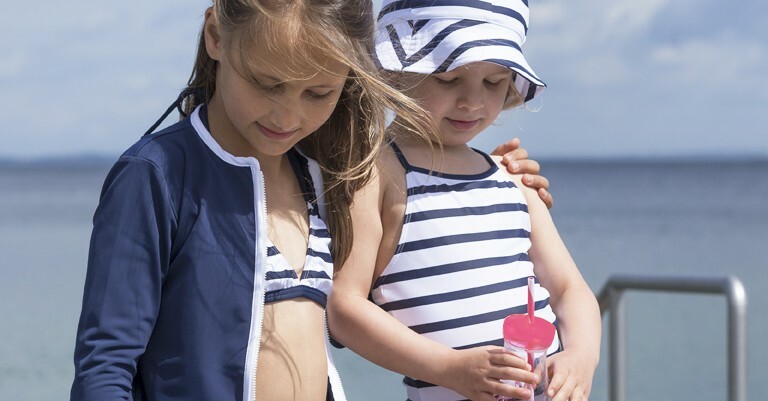 The sun protection factor of swimwear with white stripes is between 40 and 50+.